Wondering how your friends are making those cool selfie pics in beautiful places or at a famous attraction? The answer is probably a Selfie stick, at least if the friend in question is not a professional photographer. 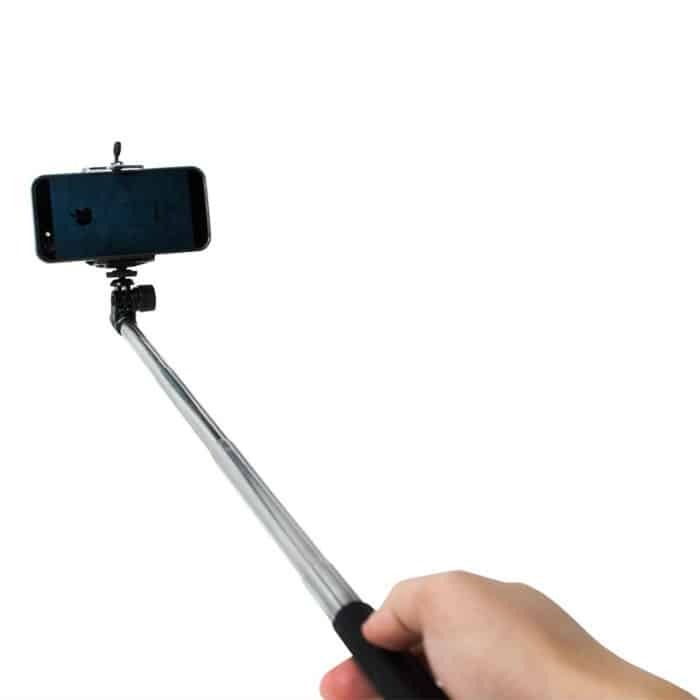 Which Selfie Stick should you buy? 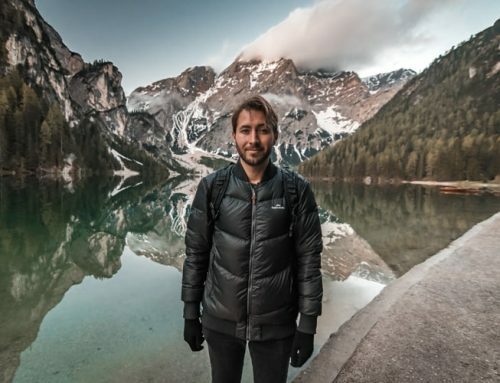 Most people who travel are probably aware of what a selfie stick is, but for those who might not have seen one or heard about it. The Selfie Stick is an extension of your arm where you can attach your smartphone, GoPro or smaller camera, normally a pole/stick made of hard plastic or metal. Some comes with a fixed length, but the majority of them are capable of being extended, some long as 1-2 meters extra. With an ordinary smartphone, it ‘s hard to get both yourself and the background within the frame and make it look good. You can solve this problem by using a selfie stick, which will give you the option to “extend” your arm and allow you to keep the phone at a longer distance from yourself. This way, you get both yourself in the picture and the background. Photograph a “groupie” becomes even trickier when you need to squeeze everyone + background in the picture. Fortunately, a Selfie-stick also works well for “groupies”. Everyone who wants to get better photos and capture memories with yourself and friends should get a selfie stick. It doesn’t take up much space and it’s easy to bring along on your travels. You also don’t have to worry about being the only one who will walk around with a selfie stick while traveling. Tourists worldwide have since several years back been keen users of them around most tourist attractions. However, as the masters of Selfies, I will definitely nominate Asians and particularly Chinese and Korean tourists. Wherever I go, I see them getting more and more creative, and almost always with a selfie stick nearby. It’s quite fascinating, but of course not every Chinese or Korean tourist love to take selfies, that would be quite a generalization to suggest, but I’m very impressed by the ones I’ve seen so far! I’ve tried a few, and there are many to choose from, but not every selfie-stick is of good quality. That’s why I recommend the one from LogiLink as it’s durable, cheap, and also convenient since you can connect it to your smartphone via Bluetooth! This means that you just have to press a button to take the picture when holding the selfie stick, instead of having to use the phone’s self-timer function. 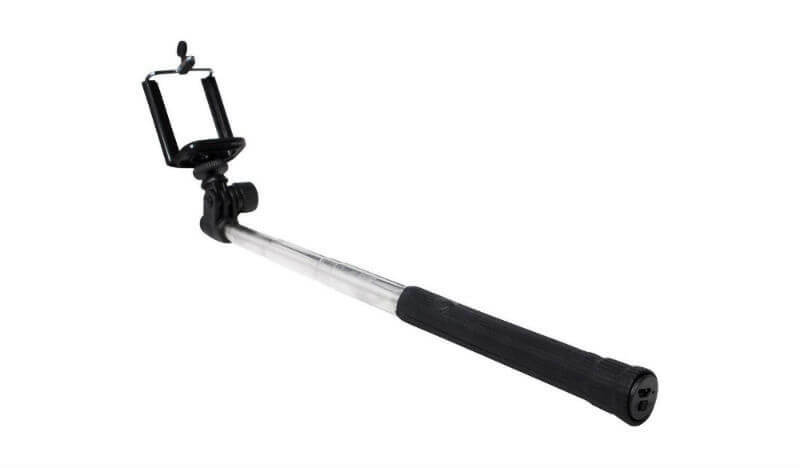 It’s also easy to attach your smartphone to the LogiLink selfie stick. A Selfie-stick is also good to have in case you are traveling solo and not have someone who can take the picture of one. Sure, you can always ask someone walking by, but images that someone else will take is seldom as you like. Then there is also the risk that the person will steal your phone while “taking” your photo! Personally, I don’t use a selfie stick very often; I’m just not into taking pictures of myself, I’d rather photograph someone else or the attraction itself, or the place I am at. But I’ve tried a few different selfie-sticks, and they are certainly useful. However, there are very many variations that are downright garbage. Therefore it is better to invest in a Selfie stick that is durable and works. 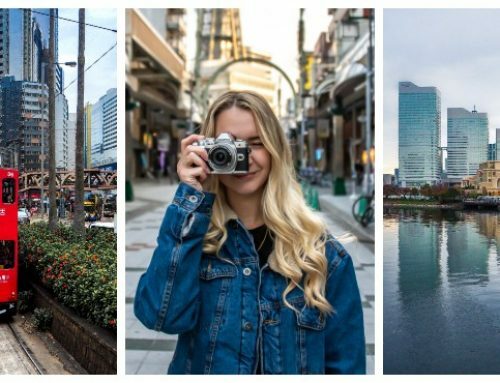 The Selfie Stick has already won the competition of being the Christmas gift of the year, but not everyone has a selfie stick, so if you know someone who will go abroad or just travel somewhere, I’m sure it will be an appreciated and fun gift. Also, it’s quite cheap. Do you use any other selfie-stick? Or have you tried the one from LogiLink as well? Or even better, you might have some more tips on how to use a selfie stick to get the best shots possible? Leave a comment below and share your experiences and tips!